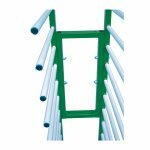 Ideal for drying painted panels. 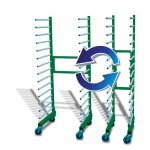 The new ECO Rack is designed to be low cost and versatile. 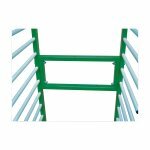 The central “2 way” separator frame gives two options of sizes. 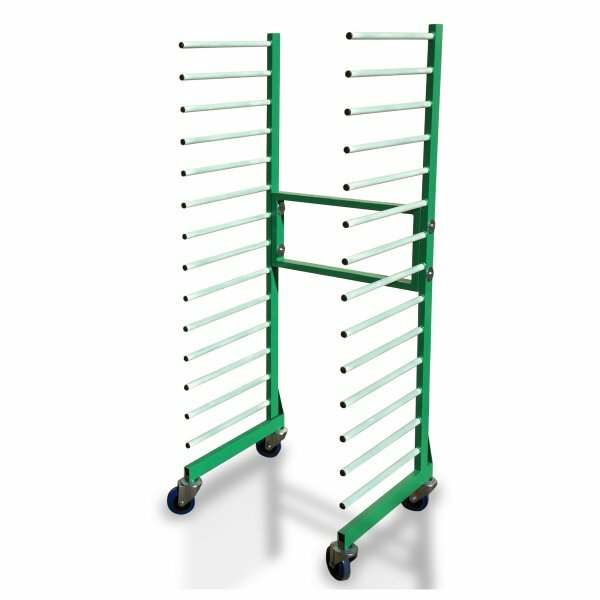 The rack is supplied as a simple self-assembly product. 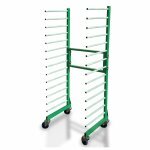 Product supplied with polypropylene sleeves and end-bungs on each bar to protect the work piece and swivel castors for easy movement.